It often happens that we feel that a song doesn't sound powerful enough, although we hear lots of details it still lacks volume. This is usually the case with Hi-Res files which accent the sound quality, not loudness. However, we all sometimes want to let our neighbors hear the music we listen to. Or when there's a party the quality isn't that important. For these and similar cases what we need is a sound booster. It doesn't have to be a separate device, but some settings within the audio player you tend to use to play music. Today I'm going to show you how to boost sound using VOX Music Player for Mac and explain what makes your favorite songs sound different. 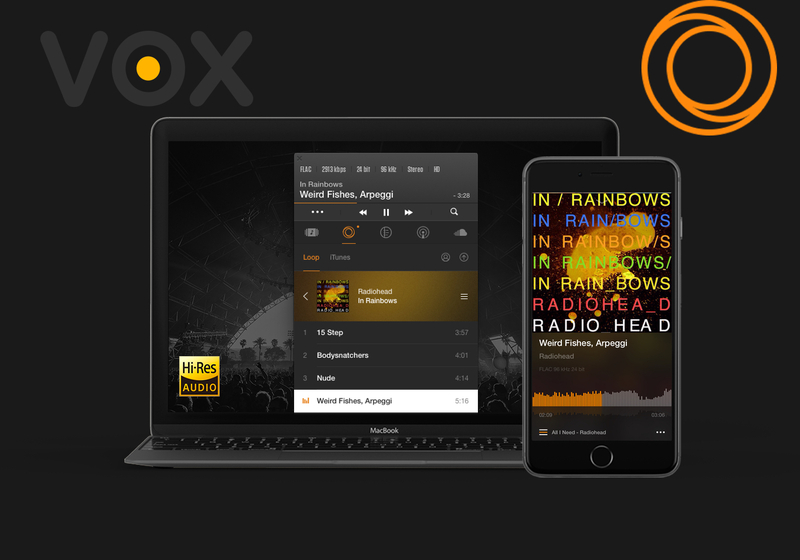 VOX Music Player is a simple, intuitive and flexible audio player for Mac users. While the default settings make it incredibly easy to use with minimal experience and guidance, I'd like to provide you with some tips on how to customize VOX to fit your personal listening taste and tech setup. Today we're covering the basics. Before we go into the details, I suggest you download the Smart Controls Extension. It will offer more keyboard controls, as well as enable your Apple Remote and headphones to be used with VOX. Equalizer is a wonderful tool. It helps you “shape” the sound of your favorite music, bringing in emotional nuances of sound while taking off unwanted frequencies. It’s also helpful to compensate for the less-than-perfect quality of speakers or headphones by introducing more of what is missing and reducing the stuff that is in excess. adjust the timbre of music to Your own preference. compensate for the imperfect sound quality of speakers/headphones. tune up to room acoustics or compensate for background noise. create effects, for example, when DJ-ing. 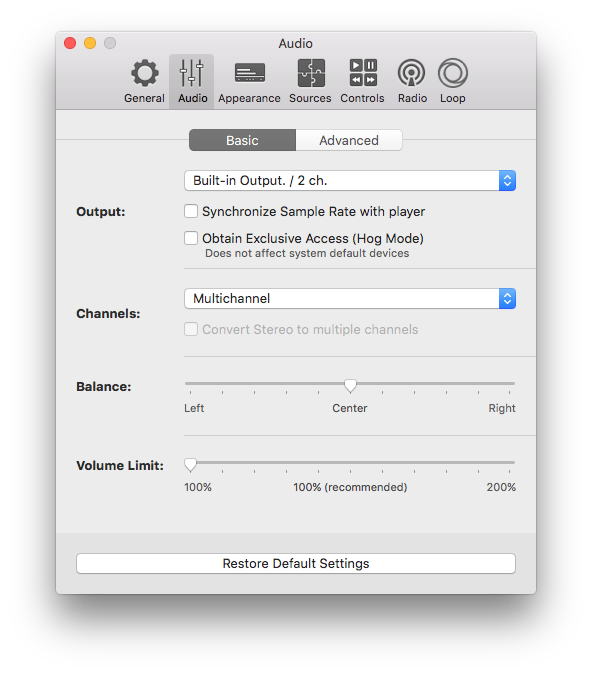 VOX player for OS X is equipped with 10-band graphic EQ allowing adjustments with 1/10 – octave precision in frequency and in the range of +/- 12 dB in level. This is a quite powerful sound booster and signal processing instrument, that can improve your listening experience when used adequately but also when used improperly, it can spoil the quality of sound, so must be used with a bit of knowledge and caution. The sad part is when you slide the frequency up (boost) above zero you almost inevitably bring in the notable distortion into the sound. This is because modern music is usually already recorded at maximum loudness level, and when you try to use any sound booster to increase the volume of some part of it even more – it usually results in the overflow in the digital world (clipping), hence, distortion. To compensate for this, there is a gain slider at the left side. It’s used to compensate for gain changes introduced by boosting/cutting frequencies in the equalizer, in a digital domain. So If you raise up, say, 100Hz at 6 dB, lowering gain to corresponding 6 dB will ensure almost completely that distortion won't occur. This will result in a volume drop, but you will get distortion-free equalization. You can now add volume using your device volume control. BS2B is a technology that reduces listening fatigue when using headphones. The majority of stereo music is created and produced using loudspeakers. When listening music through headphones, as technology authors say, one gets a wrong stereo image, which is different from what sound producer had in mind. This happens because, using loudspeakers, we hear both left and right speakers with both left and right ear. There's a higher level of isolation between left and right channels when you use headphones. BS2B tries to smoothly mingle left and right channels to simulate the loudspeaker setup, so in headphones, the stereo image appears just as if you were listening to speakers in a studio environment. By definition, this feature is only available on stereo tracks, and it doesn't make sense to use it with loudspeakers. BS2B is a powerful sound booster and shouldn't be ignored. This function is for users who use multi channel output devices (4, 5.1, 7.1 channel layouts). 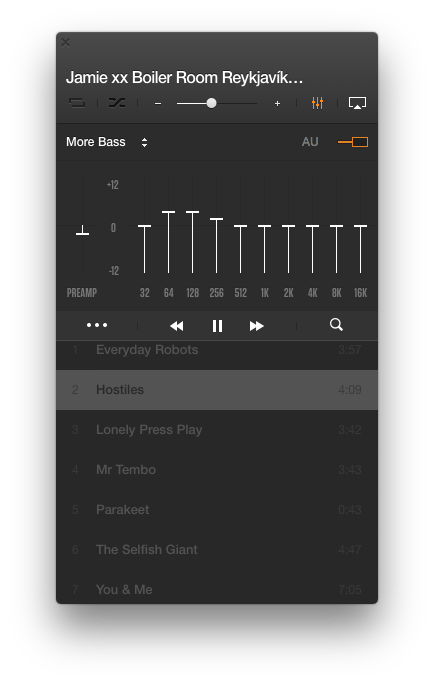 When enabled, this feature lets stereo tracks to play nicely on a multi channel output. By default, when Convert Stereo to Multiple Channels is off, stereo tracks will play into Left and Right channels only. VOX will blends stereo information into up to 8 channels. To control the playback volume we usually use VOX main window or system volume controls. However, some tracks are quite by definition and what we can do is to use a sound booster, literally. Volume Limit feature allows you to get even more amplification when all the stats are at maximum but you still lack volume. To do this, raise the mark above 100% and then use VOX volume control to achieve the desired level of loudness. Remember that it must be your last resort since it usually works at the expense of the sound quality. You should make sure that before using volume control slider you've maxed the system and VOX volume. Nowadays, music is produced with maximized loudness, and when you listen to it with more than 100% volume, it distorts the sound. Therefore, it's recommended to raise this bar only if you're going to listen through Mac's internal speakers. External devices have their own volume controls, so if possible, use those instead. Conclusion. how to get the sound Booster? We've reviewed best sound boosting means in VOX Music Player for Mac. Use the Equalizer to adjust the playback setting for every song to achieve the best sound. Boost the deepness of the sound for your headphones with the BS2B setting, which compensates for the division of the left and right channels. If you have a multi channel output device, you can convert the stereo sound into the multiple channel audio. And if you still lack the volume, as the means to boost your sound. Mind that it usually works because the quality is reduced.